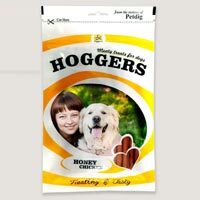 Whip Out these yummy sticks to give your pet pouch a savory surprise. Bursting with rich flavor, an irresistible chewy texture and Real Chicken, Meat, there’s madness in every bites simply put, its Chewwacca! Ingredients: Real Chicken, Rice, Wheat, Corn, Glycerine, Corn Gluten Meal, Colorants, Flavor, Vitamins & Minerals. 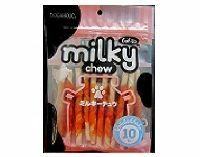 Milky Chew Chicken Sticks is suitable for dogs of all breeds from2 months onwards. It is made from a highly selective assortment of the finest ingredient available. 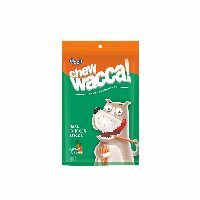 The result is premium chew with a delicious milk flavor wrapped with real chicken. 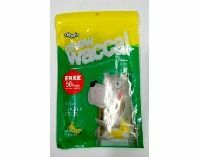 Buy pet products online from the best pet product supplier. 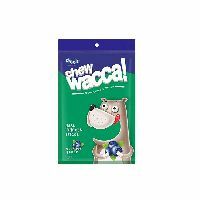 Order your dog’s food and snacks now from your favourite online pet products store in Mumbai. 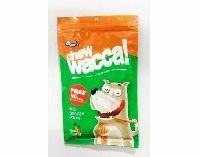 Drools Chew Wacca Real Chicken Sticks - Carrot Flavour is made from the highest quality natural rawhide that is healthy and fun for your pet. It promotes clean teeth and gums. 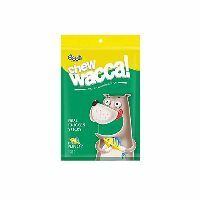 Buy your dog food and pet products online from the best pet product suppliers. Now order your pet food online from your favourite pet products store in Mumbai. 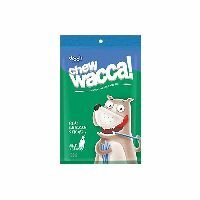 Drools Chew Wacca Real Chicken Sticks - Blueberry is made from the highest quality natural rawhide that is healthy and fun for your pet. It promotes clean teeth and gums. 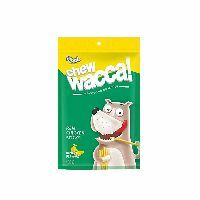 Buy your dog food and pet products online from the best pet product suppliers. Now order your pet food online from your favourite pet products store in Mumbai.